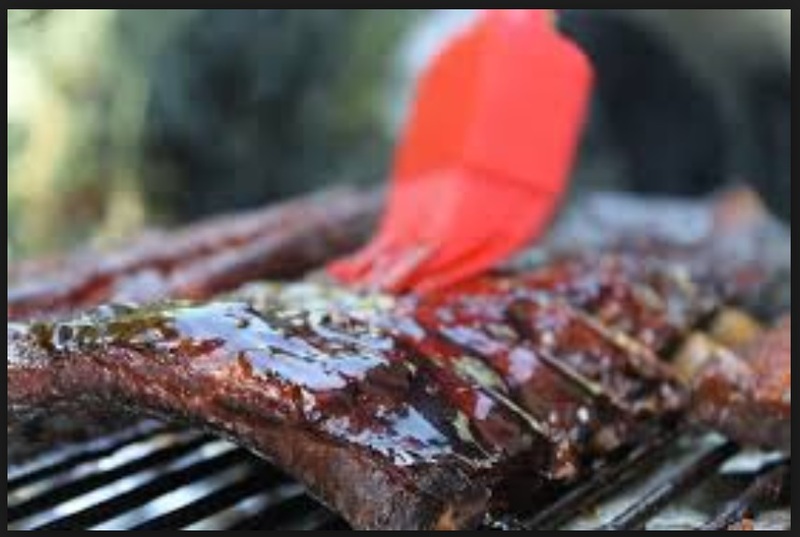 Answer: Barbecue sauces typically contain sugar and will burn if exposed to high or prolonged heat, so brush your food with sauce only at the very end of cooking. (Some barbecue aficionados prefer to sauce at the table only, after the food comes off the fire.) If you want to add moisture earlier so that the meat takes on smoke, use a pan of water to produce steam, or a mop, basting brush, or spray bottle to apply unsweetened liquid, like beer or cider vinegar, directly on the meat. Source: David Joachim and Andrew Schloss are the authors of the award-winning reference book The Science of Good Food.